The Law Offices of Thomas D. Sommerville, in Orlando, Florida, provides exceptional advocacy and support to those accused of felony and misdemeanor charges. We also represent licensed professionals facing administrative actions that threaten their careers. Attorney Thomas D. Sommerville has helped hundreds of clients throughout central Florida. 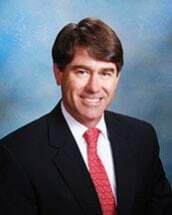 He is board-certified as a criminal trial lawyer, and has a reputation for being one of Florida's top attorneys. He routinely secures favorable results for those he represents in state and federal court. Mr. Sommerville has achieved an AV Preeminent* by Martindale-Hubbell. Among his many accolades, he regularly receives positive reviews for his professionalism and service. Mr. Sommerville is an attorney with strong community ties. He graduated from the University of Florida with BA in history in 1993, and from the University of Florida College of Law in 1997. Following graduation, Mr. Sommerville worked for three years as a public defender in Orange County, Florida. He then went into private practice working at Chandler R. Muller, PA, where he became a partner in 2003. Upon Mr. Mueller's passing in 2012, Mr. Sommerville opened his own law firm. Along with providing criminal defense advocacy, Mr. Sommerville works to protect the rights of those suffering from mental health and substance abuse issues. He strives to ensure his clients receive the proper care and attention they require. To schedule a free initial consultation concerning your matter, you can contact The Law Offices of Thomas D. Sommerville by calling our law office or visiting our website to set up an appointment.